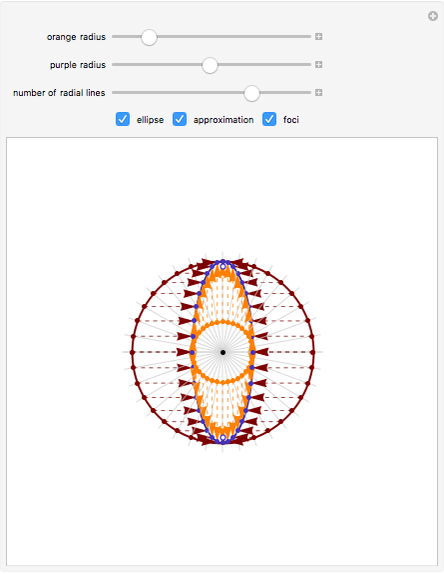 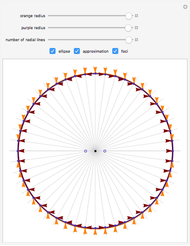 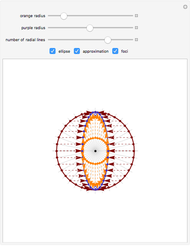 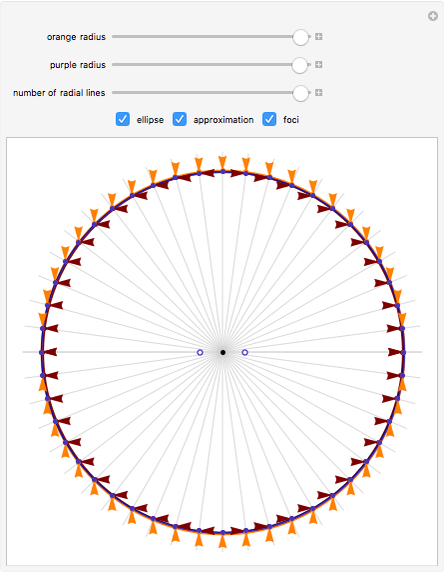 This Demonstration shows how to draw a piecewise-linear approximation to an ellipse using two concentric circles and radial lines. 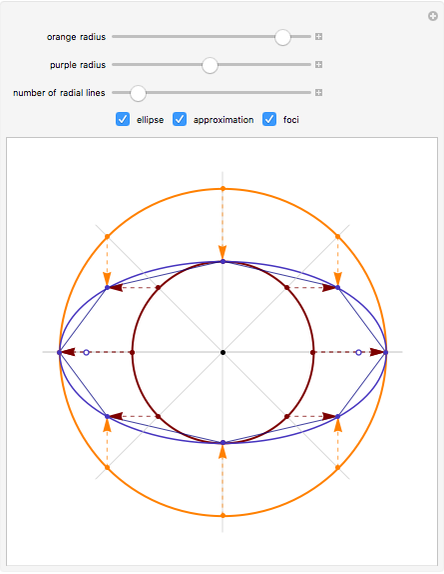 The radii of the two circles are the lengths of the semi-minor and semi-major axes. 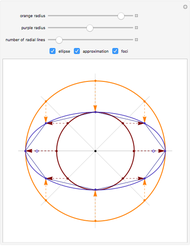 Eric Schulz "Drawing an Ellipse Using Circles and Lines"